Denny’s: 2 FREE Slices of Bacon Coupon! If you like bacon, you're going to love this! 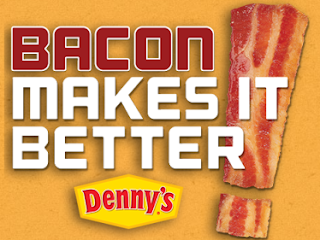 Head on over to score a coupon good for 2 FREE slices of bacon at Denny's!